Beautiful well-maintained 2142 sq. ft. lakefront home in the quiet and highly desirable community of Lake Suzy Estates. Enjoy spectacular views of the abundant wildlife and natural beauty on 75 feet of Lake Suzy waterfront property. 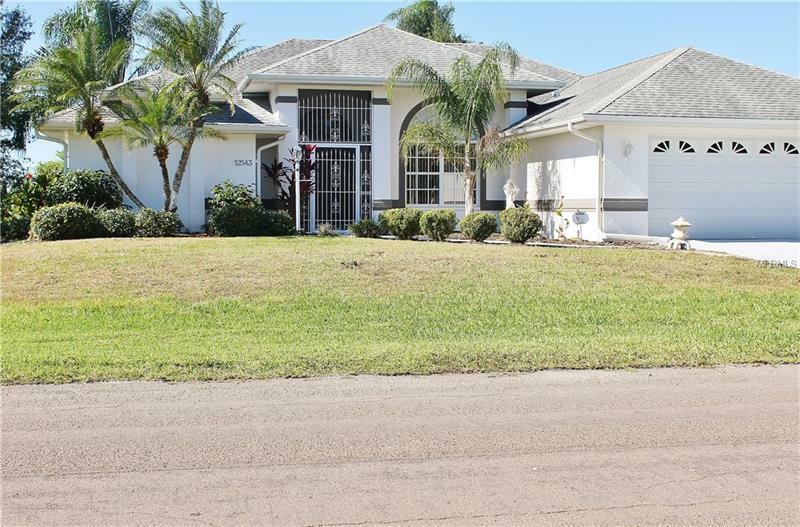 This home features vaulted ceilings split-bedroom configuration sliders to lanai from the Living Room / Kitchen dining / Master Bedroom large bow window view of Lake Suzy from the Great Room and two large screened lakefront Lanai areas. This home provides a lakefront dock for fishing or boating a lake-fed irrigation system electric hurricane shutters around the Lanai hurricane-code garage door and brand new driveway/walkway. Mannington Flooring and Berber carpets are featured throughout. Furniture Included. Lake Suzy has 42 exquisite acres of water â bring your fishing rods and pontoon - electric motorized boats only. Take advantage of the convenience and proximity of local shopping dining and Interstate 75. Enjoy your favorite evening beverage while catching the stunning sunsets over Lake Suzy from your Lanai Great Room or dock as the Eagles Cranes Egrets and Pelicans skim the lake for their dinner treat. Lake Suzy Estates is a voluntary HOA community. Amenities Additional Fees: There is an annual mandatory Lake Maintenance Association Fee of $80 per Lakefront Lot. There is also an annual VOLUNTARY HOA Fee of $200.